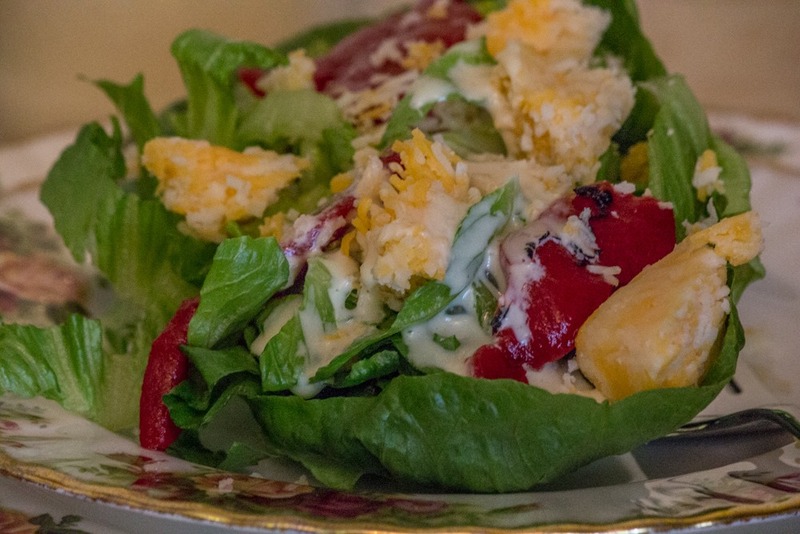 I am not trying to repeat a post from years gone by, however I think looking back over the search topics and views of this very simple staple in our salads and on the summer table, considering that as of today the recipe has been viewed 20,495 times, that is almost 3,416 views per year averaged for the past 6 years. The orgininal post was done on June 22, 2011. I wanted to update the post, with better photography, and give a bit more pizzaz. I also wanted to adress the single most often question searched for. The ratio of vinegar to water, and amount of sugar. Really, this recipe is one for which there is NO written recipe, you make it, you taste it, and taste it, and adjust to your personal preferences. The only reason the sugar is there is not to make it into a sweet dish, but to mellow the sharpness of the vinegar in the recipe. This recipe is all about the way YOU, like it. 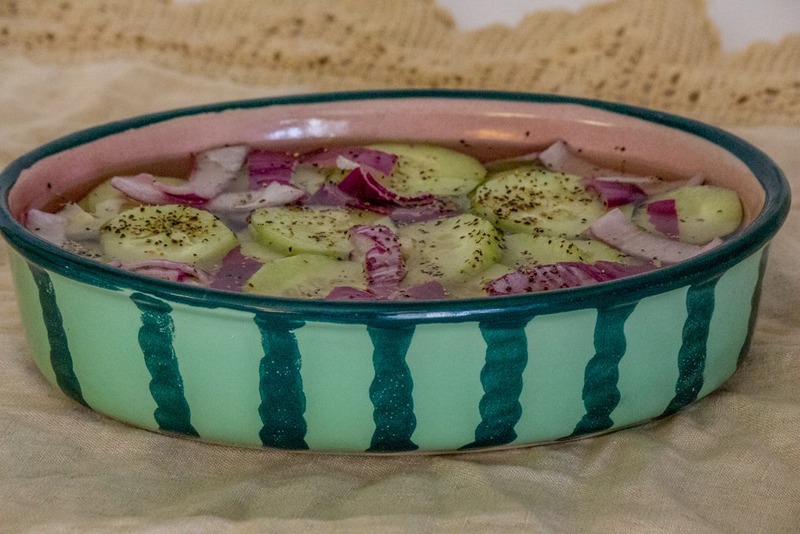 For the bowl I made up and photographed, I used 1 larger cucumber, 1 cup water, 1 tablespoon cider vinegar, about 2 tsp. sugar, pinch of black pepper. I used a red onion, I had here to add some color, however generally we always used a strong yellow or white onion. Another question frequently searched for is “How long does it keep?” Cucumbers do not last forever, as everyone knows. This recipe is in the fridge for those times you want something but do not know what you want, it is also good served with meals, where you have greasier meat, or with green beans cooked with a ham hock. It is just a little refreshing easy to make dish. 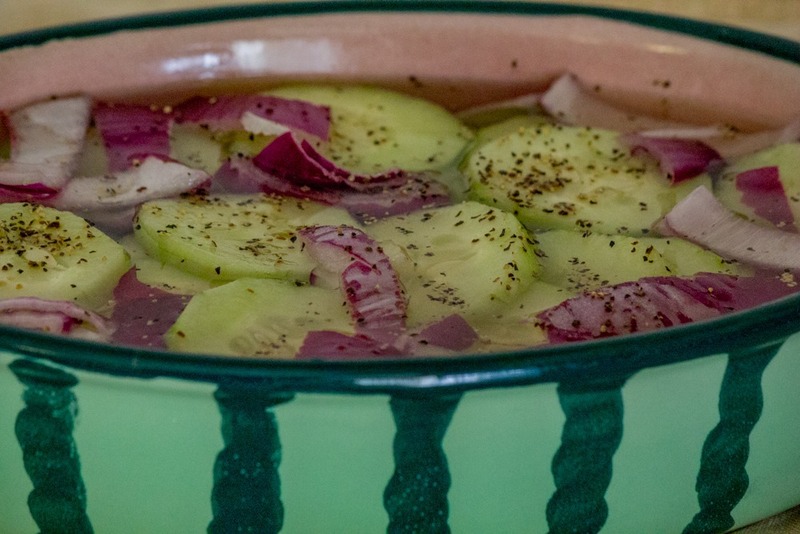 I would say they will keep for about a week in the fridge, it is just a good way to use up cucumbers. We always just kept adding another cucumber and onion as needed. Eventually you can tell when you need to make additional vinegar water, or even add a bit of vinegar and sugar. This morning my good friend and fellow basket weaver, from North Carolina wrote me to ask me about gathering dandelion greens and if I knew anything about it. That prompted me to think back to childhood when we did gather them and thought this would make a good post today. 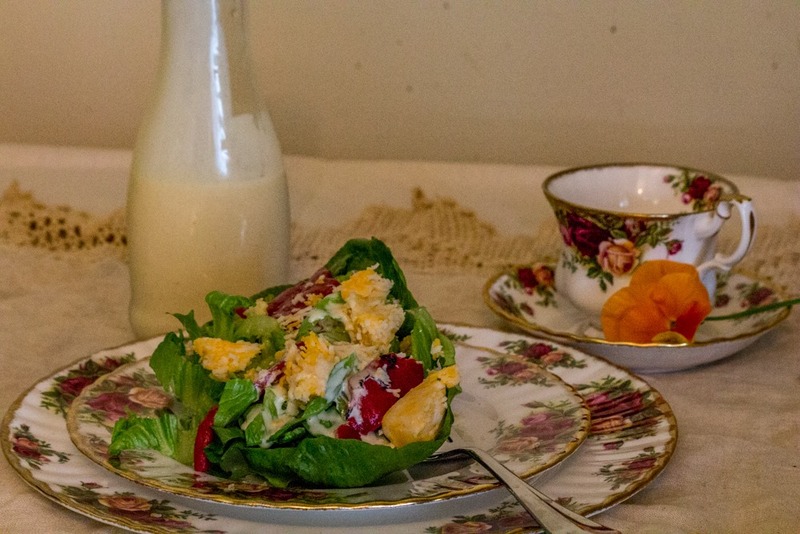 When I was growing up in the 1960’s, as kids we were often given a knife in the early spring and asked to go out and pick young and tender dandelion greens for salads and for side dish made with a hot bacon dressing, much like in later summer when grandma would fix the same dish with Endive from the garden. You can still do this today if you know of a lawn or field that no weed killers have been used on. Fry the bacon until crisp, drain on paper towels, add onions to the drippings and sautee. Add the flour to make a roux and brown slightly, add the vinegar and water, milk (we generally used heavy cream or half & half. Salt and pepper to taste. This will thicken and form a dressing (the milk or cream will look curdled at first) due to the vinegar but will be just fine. Add the 3 cups on Dandelion or Endive Greens and stir into the dressing to coat, cover for a brief minute or two and allow to wilt. This recipe can be made with Spinach as well. 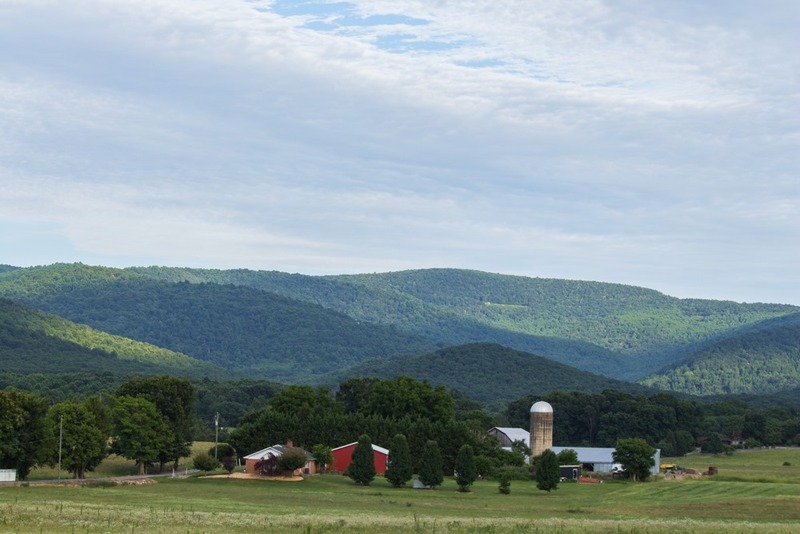 In this area the Shenandoah Valley everyone that I have asked about growing Endive, most say OH, we used to grow that when I was young but have not for years! As a child my grandparents and greatgrand mother all had beds of Endive (a form of chickory) it is very nutritious and high in vitamins and minerals. Also forgotten but not important here is the Salsify (Oyster Plant) how well I remember the long rows of Salsify!